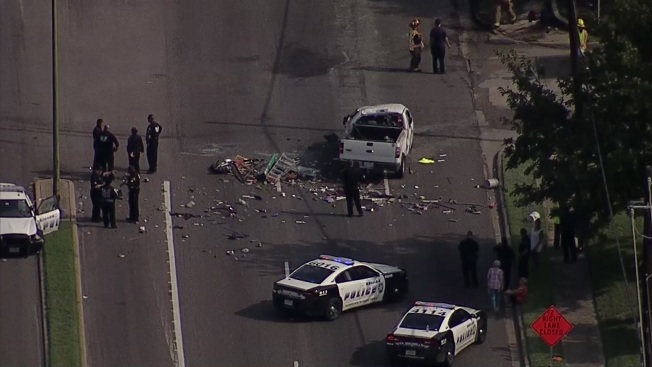 Seven people, including two Dallas police officers, were transported to hospitals after a crash involving multiple vehicles in Northwest Dallas, authorities said. The crash happened at about 9 a.m. near the intersection of Townsend Road and Marsh Lane as police were following a vehicle that was believed to be stolen, police said. The gray four-door sedan vehicle tried to elude officers when the vehicle crashed with a black pick-up truck on Marsh Lane. The officer's squad car was traveling down Townsend Drive when it crashed into a white pick-up truck, police said. A total of seven people were transported to local hospitals, all with injuries not considered life-threatening, including two officers in the squad car, two suspects in the gray sedan, two victims in the black truck, and one victim in the white truck, police said. Northbound Marsh Lane was closed with traffic being diverted to Vinecrest Drive. A dark-colored pickup truck seen mangled on the sidewalk appeared to have caught fire. 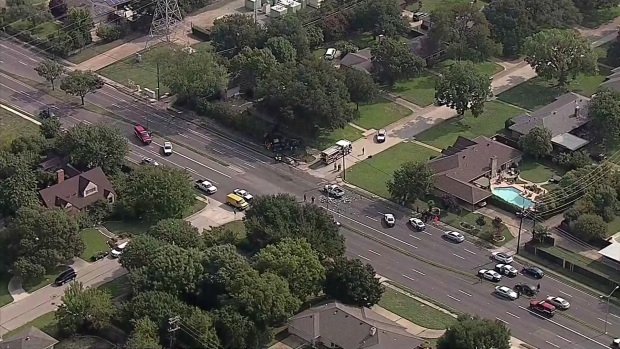 A Dallas police cruiser was damaged with airbags deployed. Mary Mock witnessed the incident after her dog's barking alerted her to look out the window. She saw a small black car heading down her Townsend Drive "way, way, way too fast" and it hit an oncoming black car on Marsh Lane, she said. She said she saw the two vehicles flip and catch fire. Other vehicles also crashed. She saw one man jump out of the vehicle fire and roll on the ground to extinguish the flames. People were helping the others get out of the flaming cars, Mock said. "It happened so fast," Mock said. "I'm glad that no one died." 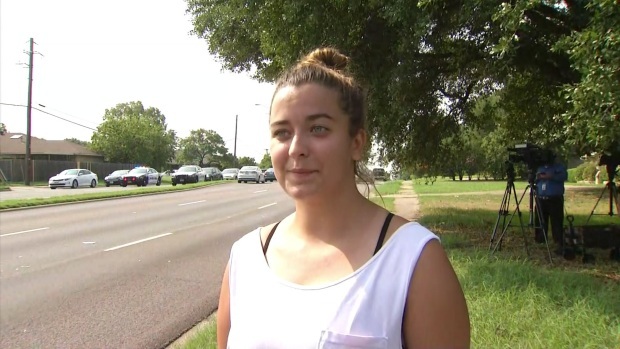 Mock says she was especially grateful the Dallas police officer was OK.
Mary Mock witnessed the incident after her dog's barking alerted her to look out the window. She saw a small black car heading down her Townsend Drive "way way way too fast" and it hit an oncoming black car on Marsh Lane, she said. "The police officer didn't care what the boy [driver] had done," Mock said. "He wanted to make sure everyone was out of their cars and safe. That was a really, really, really good thing for me to see. It puts a lot of faith back into my Dallas police force." Check back for developments on this breaking news story. As details unfold, elements of this story may change.